Alex and Jennifer Lowe skiing toward the north face of Notch Top in Rocky Mountain National Park in 1982. 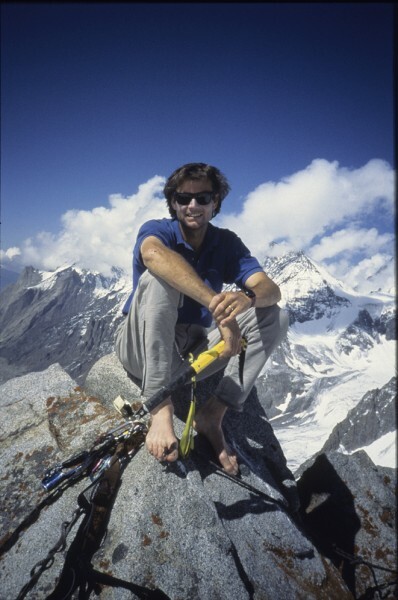 Alex Lowe was a Montanan who arrived on the national climbing scene in the early eighties with a voracious appetite for climbing in all disciplines. He became known as the “Jack of all Trades” and “The Fiend”, climbing big walls and difficult free routes as well as forging steep ice and notable alpine ascents around the globe. Alex was known to be fast, bold and somewhat of a visionary in developing the direction of mixed climbing and technical ice routes. In the spring of 1999 he was called, “the world’s best climber” by Outside Magazine. He died in October 1999 at the age of forty, buried by an avalanche in Tibet. 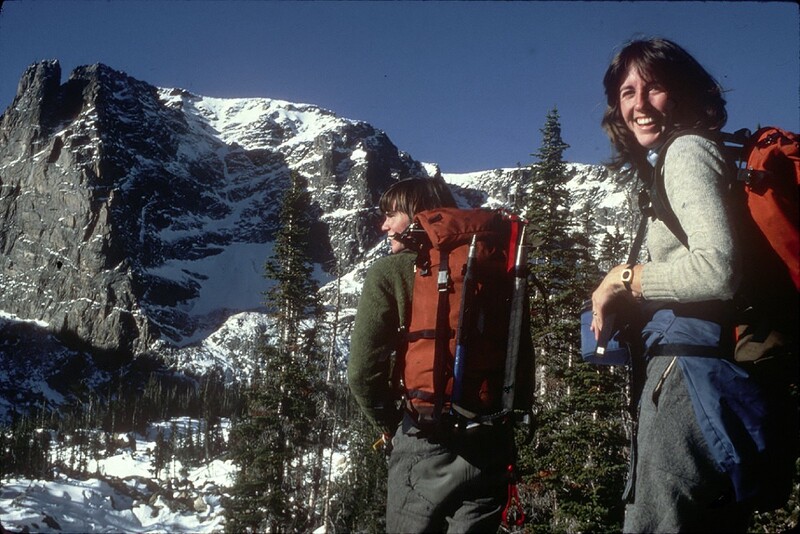 Jennifer – The North Face of Notchtop was one of hundreds of adventures that Alex and I shared in the mountains during our first years together. Our Kletterwerks packs accompanied us as we explored the US and traveled to Europe, Alaska and South America to climb. In later years Alex went on to climb on every continent and we settled in Bozeman where he worked as a professional athlete and guide and I settled into parenting and a career in art. Jennifer Lowe-Anker, an artist and author is now married to Conrad Anker and resides in Bozeman, Montana. Max – My father Alex was an unbound free spirit. From what I know of his life, he lived it for the precious moments of uncertainty and serenity, and the people and places that made it full. He was not a man to burn daylight, and moved through the world with an energy that was contagious. I can only aspire to leave such an impact on the people around me, and to hold myself to such standards of a life of fruition.